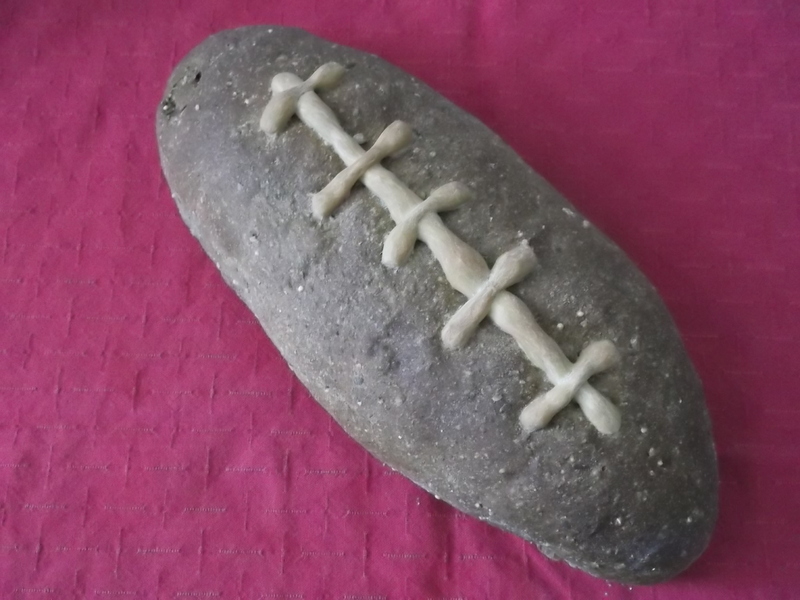 Ace baker Mike Gonella, owner and quarterback of Tivoli Bread and Baking, our go-to bakery upstate, got into the spirit of Super Bowl Sunday today, fashioning his famous multigrain bread into a carb-based football likeness. No matter who wins (go Giants!) — or the shape of the loaf — Mike’s multigrain is always an MVP at our table. Gonella uses chopped walnuts in the bread, which adds textural contrast. And while dense, his bread isn’t heavy. Healthy AND delicious, with a slight sweetness, it makes for awesome toast, and would make a “super” accompaniment to the Big Game’s traditional dish, chili. If you aren’t at Tivoli Bread and Baking by 9:30 AM or so, the multigrain sells out. To ensure a loaf on the weekends, I call ahead to reserve a round at 845-757-BAKE. This entry was posted in Food, Hudson Valley and tagged Mike Gonella, multigrain bread, Tivoli Bread and Baking. Bookmark the permalink.